Seize the initiative and chop your foes to pieces with this exhaustive guide to the art of martial combat in this exciting new rulebook for the smash-hit Pathfinder Roleplaying Game, suitable for players and Game Masters alike! This comprehensive 256-page hardcover reference reveals the martial secrets of the Pathfinder RPG rules like never before! Tons of new tricks and techniques for combat-oriented character classes put a sharp edge on your weapons and a sure step in your tactics, ranging from new barbarian rage powers, new cavalier orders, tons of new rogue talents, and more than 60 new archetypes for nearly every Pathfinder RPG character class, including spellcasters like wizards and clerics. 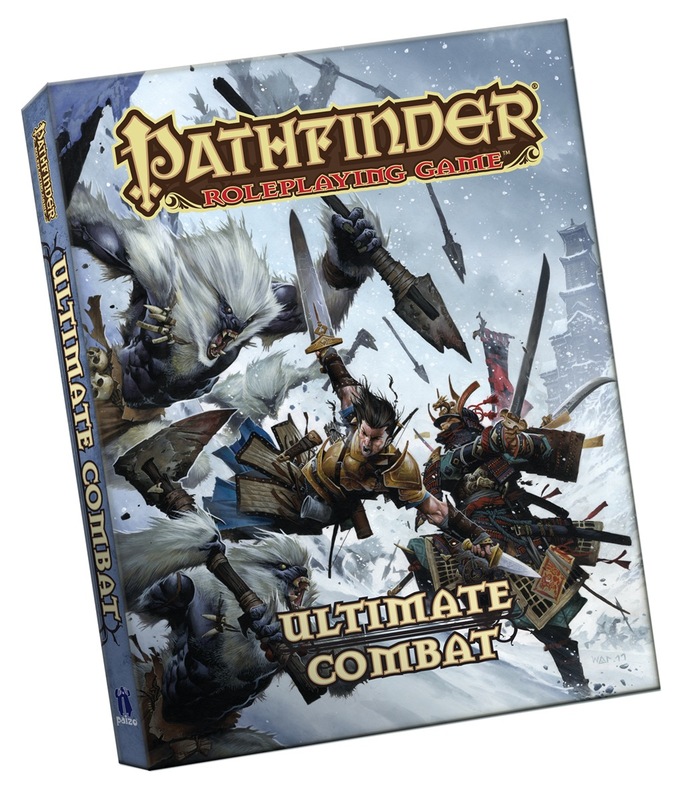 Ultimate Combat also introduces three new Pathfinder RPG classes: the ninja, samurai, and gunslinger! The ninja blends the subterfuge of the rogue with high-flying martial arts and assassination techniques. The samurai is an unstoppable armored warrior who lives by a strong code of honor—with or without a master. The gunslinger combines the fighter's martial prowess with a new grit mechanic that allows her to pull off fantastic acts with a pistol or rifle. All this plus tons of new armor and weapons, a complete treatment of firearms in the Pathfinder RPG, a vast array of martial arts, finishing moves, vehicle combat, duels, and new combat-oriented spells for every spellcasting class in the game! 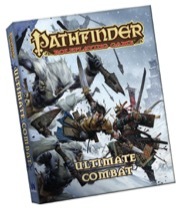 Note: The Pathfinder Roleplaying Game: Ultimate Combat Pocket Edition is not included in the Pathfinder Roleplaying Game subscription.